As a coastal city shaped by climate change, the “One Shantou: Now, Tomorrow and the Future” vision will guide the city of Shantou (located east of Hong Kong and southwest of Shanghai) through an unpredictable future. The scheme respects the extensive planning and land reclamation that had already been completed by local and regional authorities. In so doing, it avoids the common pitfall of design competitions that overlook local insight and previous investments. It also challenges the notion that competitive advantage requires a city to develop its prime real estate along coastal waterfronts. 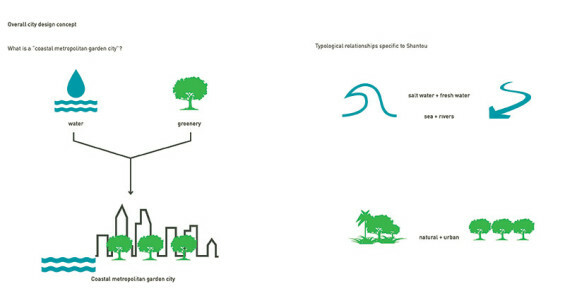 Instead, the One Shantou vision locates the densest areas of building inland, away from storm surge areas. As in many post-industrial coastal cities, this opens the waterfront for public space and cultural uses. The resulting “delta city” concept includes three major areas — the Xinjin Wellness District, Xinxi Urban Center District and Tagangwei Creative Eco-District — each oriented around a series of urban green spaces and canals that connect to the Rong, Xinjin and Waisha River systems. 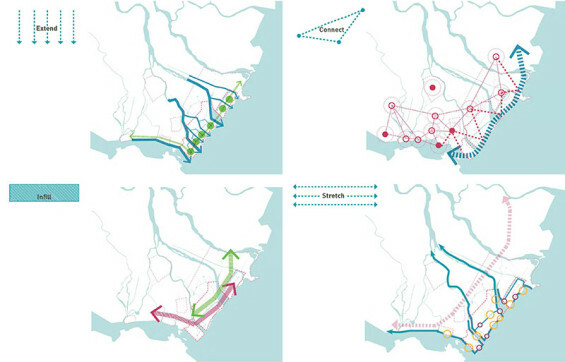 In addition to new residential neighborhoods, the plan provides a new regional government center, a central business district, and an experimental innovation zone for coastal engineering and next-generation agriculture. The One Shantou vision plan is rooted in the history, culture, environment and urban context of Shantou and the surroundings coastal communities. 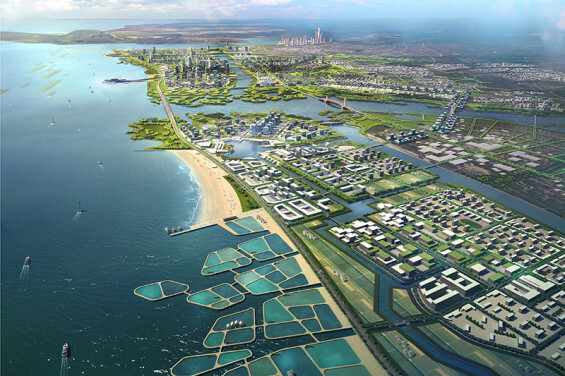 As a coastal garden city, the concept advocates an urban and environmental framework drawn from and developed in context to the deltas formed by the Hanjiang and Xinjin Rivers. The vision supports adjacent existing development, planned development and infrastructure projects, and the strategies and incremental tactics that define good city building. One Shantou promotes the environmental values and benefits of a river delta, emphasizing sustainable city planning methods specifically by integrating ecological patterns and hydrological threads within the city fabric. 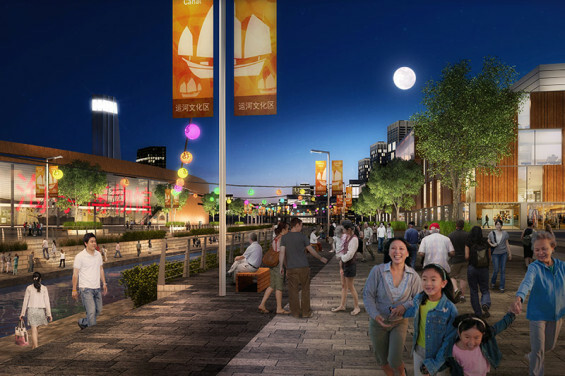 The delta city concept is responsive to the Shantou Strategic Plan already in motion. One Shantou strives for the ideal balance between growth and preservation, high functioning urban centers and clean water, environmental stewardship and high quality human experiences. A coastal management focus will include ecology and sciences to spawn future market activities in which Shantou is positioned to be a global leader. This vision requires long range planning and preparation. But by proper land use planning now to preserve this area from ad hoc building, the path to tomorrow can be achieved sustainably. The One Shantou vision recommends best-practices sourced from New York City’s resiliency planning guide – one of the most extensive, illustrative, and current planning manuals. The master plan proposes three phases of development to allow for incremental construction as financing and market conditions allow, beginning with the restoration of aquatic habitats. Xinjin Wellness District – Along with mangrove restoration throughout the delta, the first phase will entail the development of the area closest to the existing city center: the Xinjin Wellness District, which includes athletic facilities as well as residential and commercial areas. Xinxi Urban Center District – The core of the urban plan, the Xinxi Urban Center District, will be constructed in three phases, beginning with the Government Center and Central Park, along with major transit hubs to seed further development. 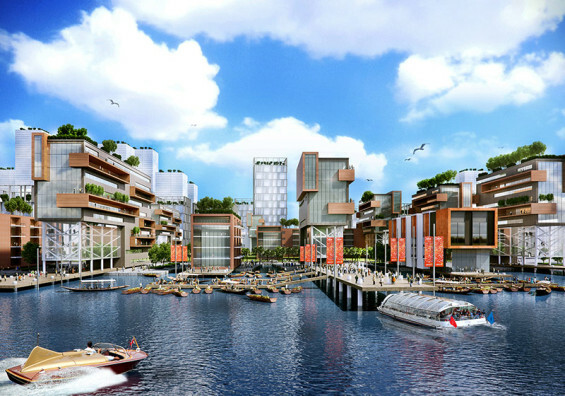 The urban core of the Xinxi District will then include cultural attractions and a high-rise commercial district for international headquarters offices, all centered on a canal that provides public access to the waterfront, including residential development and dockside markets. Finally, to the north, agricultural districts will reach back to the existing outskirts of Shantou. Tagangwei Creative Eco District – Strategies that mitigate the impact of climate change are also used as a supporting economic engine requiring time for gestation/invention to occur. 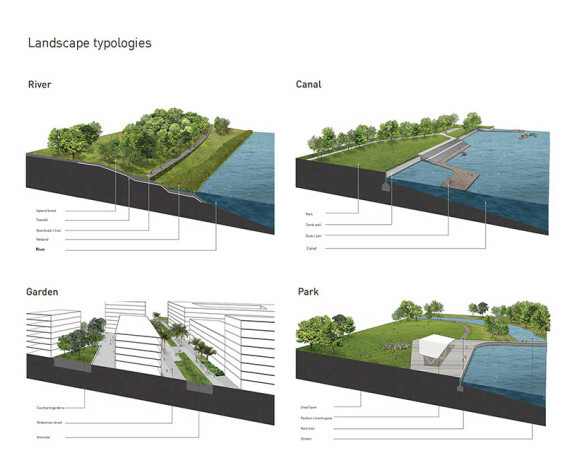 For example, the implementation of wave attenuation islands showcases the city as an R&D hub. The artificial islands present Shantou as an industrious, and hard-working city with a pioneering spirit—not just a tropical romantic region. The “rectangular” islands will reshape overtime by natural forces: a merging of man-made ingenuity planned with participation from nature. Hence, while the urban condition (gridded city) is supported by the ecological open space network (threads) to link sea to land, it is also fronted by a climate change agenda that is part of a new economic generator for the region.